Endurance, comfort, safety and the power to perform are what made Ford RANGER the choice of vehicle for long-distance travel, tackling heavy work loads or simply for simple road trips with the family. Our critics were amazed by its comfort and manoeuvrability features and were pleased to say that their experience was akin to an enjoyable and smooth sight-seeing trip in spite of dealing with the challenging urban terrains. 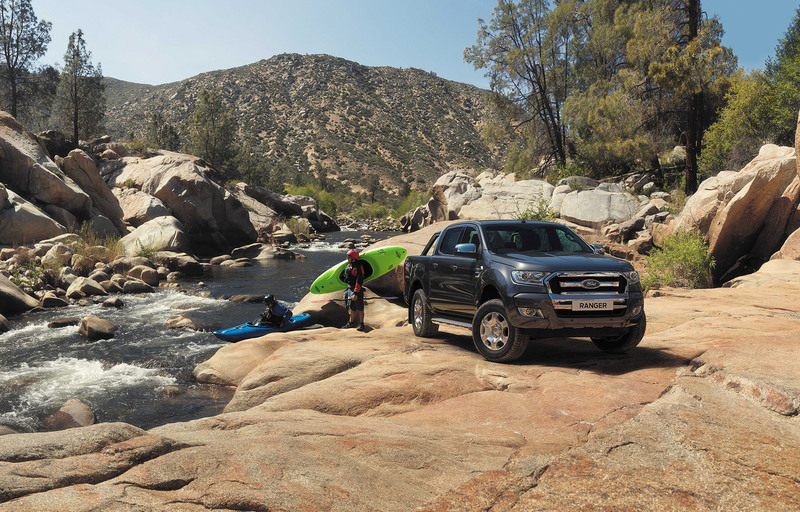 Last December, we took an adventure-filled trip all the way up North on-board the Ford Ranger. We tackled the paved and unpaved paths to Nueva Ecija, and the uphill and downhill winding roads of Isabela with the Ranger showcasing its best overall package of Tough and Smart capabilities. Here are the reviews coming from automotive aficionados as well as automotive critics and bloggers, such as Autoindustriya.com, Visor.ph and Autodeal, about their experiences. Ranger's fuel-efficient 2.2 TDCi diesel engine is more powerful than ever, while the powerful 3.2 TDCi diesel engine is more economical. Combined with the comprehensive Electronic Stability Program (ESP), the new Ranger's performance helps you keep pace with any job, anywhere. The design of the new Ranger delivers a bold new front end, a revamped interior and new tools that make life easier. Like a 230V power inverter that lets you power anything, anywhere. The new Ranger is full of smart features that you might not expect to find in a truck, like SYNC™2 voice control, with 8-inch touchscreen, for hands-free control of your Bluetooth phone, climate control and music. Ranger’s reinforced safety cell is supplemented with the protection of six airbags, including side and curtain airbags . Combined with the comprehensive Electronic Stability Program and driver-assist technologies that help mitigate collisions and keep you in your lane, the new Ranger is safer than ever. The new chrome grille and more muscular front end makes the new Ranger look more powerful than ever. Inside, the priority is space, comfort and functionality. Controls are in plain sight and easy reach, there's extra storage and noise and vibration have been reduced. Throw in leather seats and the new Ranger nails work/life balance, perfectly. A light installed in the cargo tray gives you all the light you need to get on with the job, no matter what time of the day or night. But there’s more to your job than just loading up the tray. So we’ve also included a 230V outlet in the cab. Charge your phone, tablet or plug–in equipment, even when you’re in the middle of nowhere. Concentrate on the road, and not on adjusting controls, especially in bad weather. Rain-sensing wipers turn on as soon as they detect rain, and automatically adjust their speed to match the heaviness of the downpour. Auto headlamps also come on automatically when there’s not enough ambient light. EPAS (Electronic Power-Assisted Steering: EPAS delivers in all types of conditions. Steering is light and responsive for city Driving and when parking, and firmer and easier to control at higher speeds on the open road. Hill Descent Control: Automatically applies braking, as needed, to slow the vehicle to a set speed in off-road downhill conditions. Rear View Camera and Sensors: From your higher seating, the rear view camera gives you a clear vision of what’s behind you, while front and rear parking sensors help you park in any type of space with confidence. Unbeatable Water-wading: It's not only on dry land that Ranger proves that it can take you just about anywhere you need to go. A river-taming 800mm makes sure there’s very little that can come between you and getting the job done. 4x4 Shift-on-the-fly: Be in the zone at the turn of a dial. Move effortlessly between 2WD and 4WD high mode or low mode with Shift-on-the-fly. Bigger, stronger chassis: The new Ranger combines an ultra-high-strength steel chassis and a superior suspension design to deliver a stronger, smoother ride. With a 1,000kg payload and 3,500kg towing capacity, you can confidently take on the biggest jobs. Especially with Ranger’s Electronic Stability Program automatically adapting to changing loads to provide greater control.